Are you looking for an Electrician in Merrylands? Call Paul’s Electrical Today! Electricity is an amazing amenity. Just as easy as flipping a switch, a home or business have lights and power, or air conditioning and heat. But if something electrical isn’t working in your home or business space, that can be the source of much frustration. Now you have a partner in the power industry with Paul’s Electric. 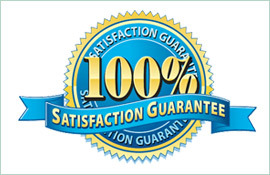 For over 18 years, we have been providing quality electricians for Merrylands and the surrounding areas. 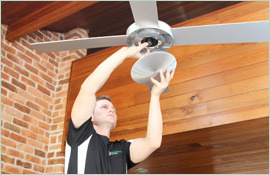 The convenience of having working lights or a/c that quickly switches on seems simple, but the intricate workings of wiring and circuitry require the special touch and skills of a certified electrician in Merrylands. When you have an electrical emergency, never try to tackle the job on your own. Rather, call on a professional and keep yourself safe. For over 18 years, we have been providing our business and residential customers with electrical assessments, work on control devices such as transformers and circuit breakers, as well as a host of other electrical services. 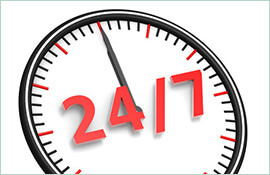 We also offer emergency services 24 hours a day and seven days per week and will arrive in a fully-armed work van, ready to solve your electrical dilemma. 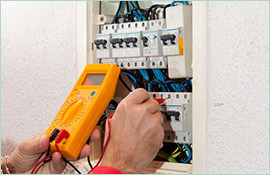 Our dedicated and high trained electricians will come to your appointment on time, every time. As a proud member of the Merrylands community, we are thrilled to provide a quality service that our customers love. Known as fair and reliable, we invite you to give us a call today on 0409 337 439 to discuss how we can provide you with excellent electrical services.